Postcolonial Networks seeks higher education partners to offer Majority World scholar-authors three-month writing residencies. The Global Writing and Publishing Fellowship provide scholar-authors the time and library resources to complete their manuscript for successful publication. 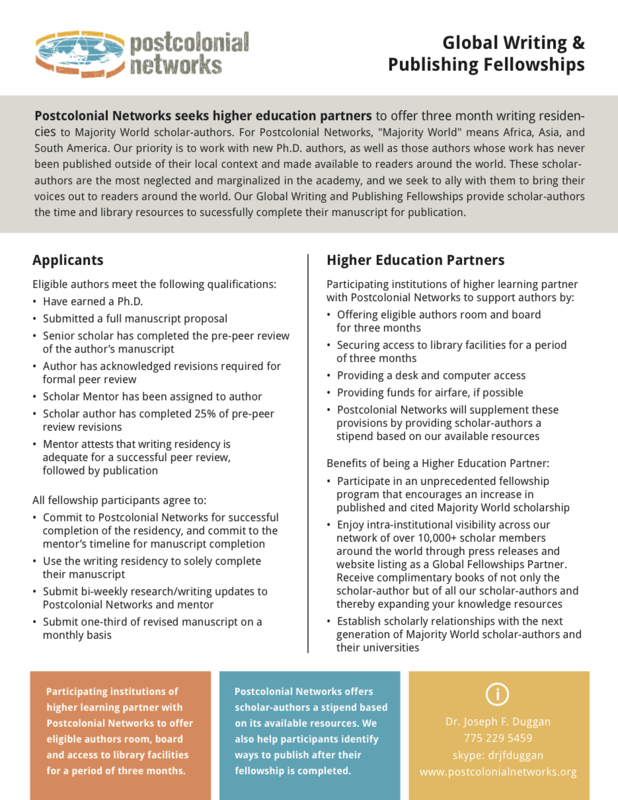 Participating institutions of higher learning partner with Postcolonial Networks to offer eligible authors room, board and access to library facilities for a period of three months. Postcolonial Networks offers scholar-authors a stipend based on its available resources.